For the record, I’m not 100% against religion… yet. I draw the line though when they want to do the thinking for humans… to the point of brainwashing them and re-programming their thought processes. Also when they do that ” we are absolutely right… they are wrong ” parlance. But there are still religious humans who are making a difference in this world. That part is far more important. 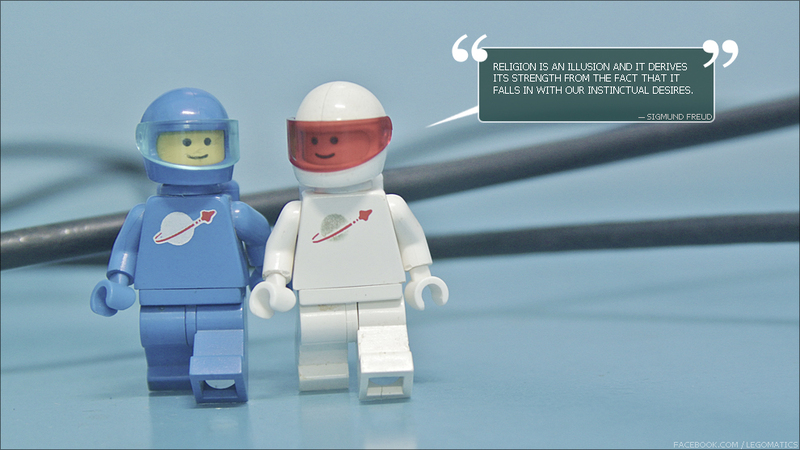 But that won’t stop some minifigs from pointing out some religion-related issues. 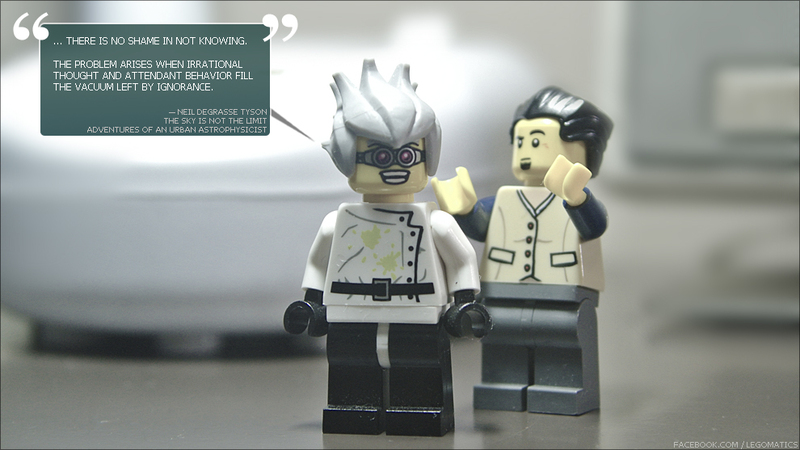 [SS_005] I read that Albert Einstein’s quote above inside Dudley C. Gould‘s Science and The Soul book. I wanted to include the full excerpt here but I can’t seem to find the exact quotes that I read in the book. I later realized that Gould combined and deleted some lines in between indicated by the ‘…’ parts. 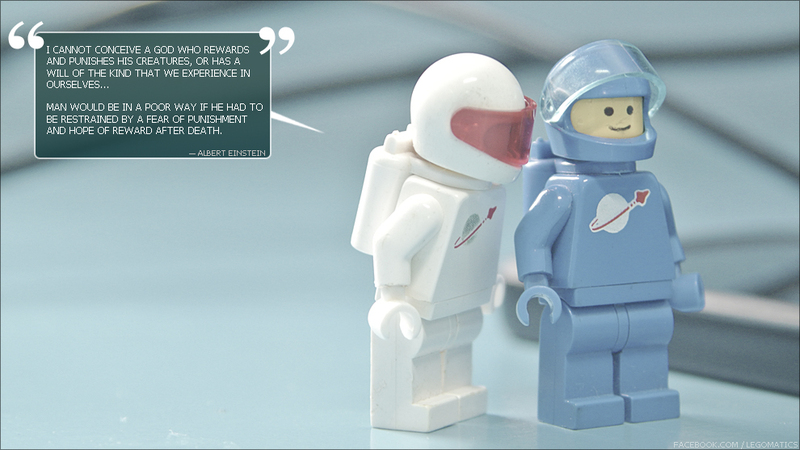 Also there are quite a number of versions of this quote from Einstein already. I’ll just link you to this Albert Einstein’s Religion and Science article. I also first read the quote in the previous FillerAE 028 post from this book from Gould.